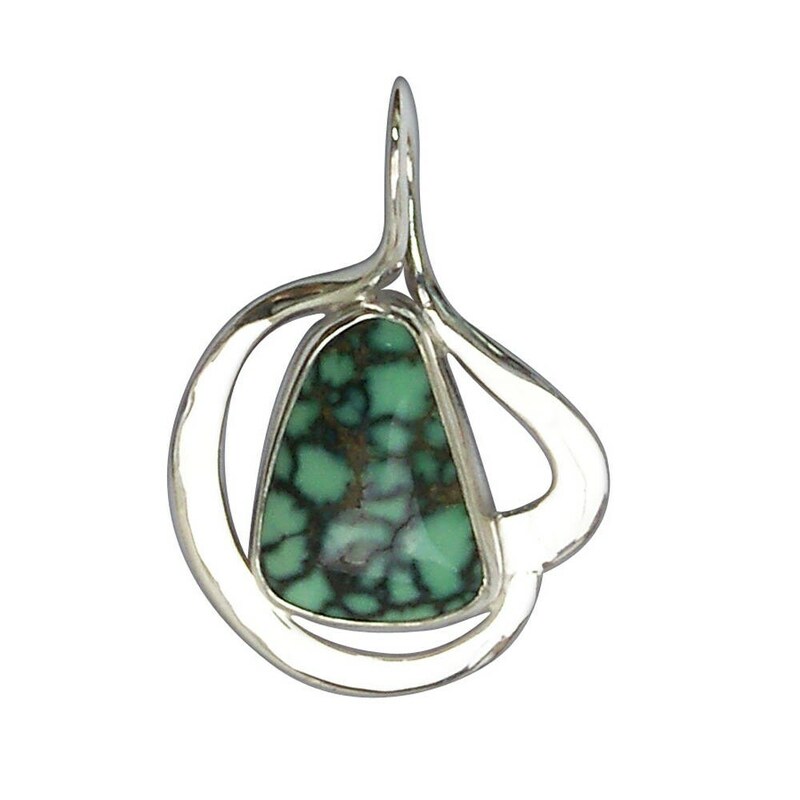 Damele Spiderweb Turquoise and Sterling Silver Pendant, 32.5 x 22.09mm. This is a one of a kind (ooak) art piece. 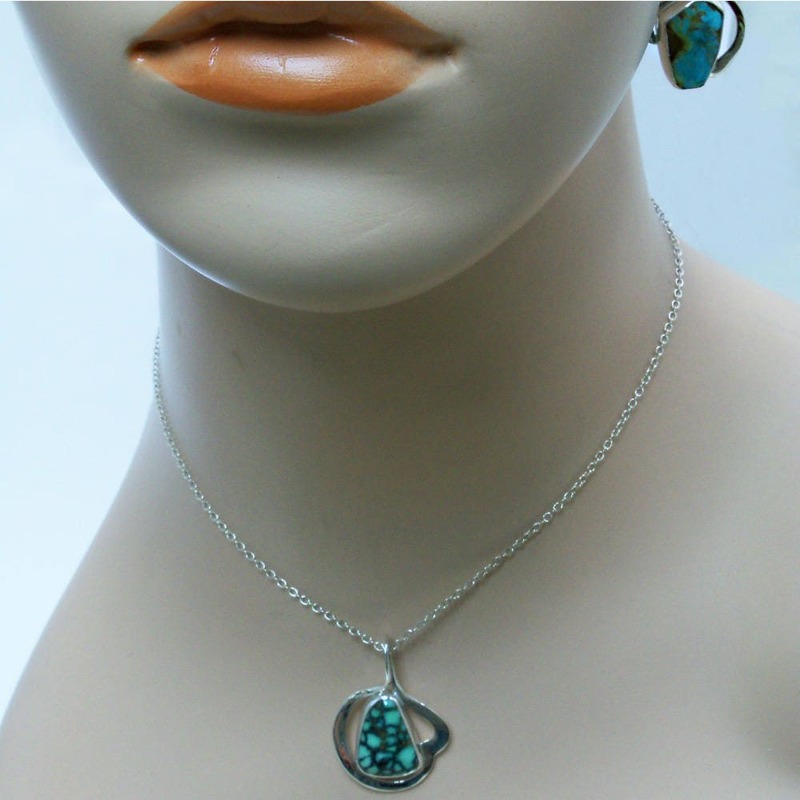 I personally hand cut the Damele turquoise gemstone, then hand forged the metalwork to create an original design. This stone is a nice light green with a beautiful spiderweb matrix. Turquoise has a long history as a popular gem material. Turquoise was brought to Europe from Turkey via trade route. Turquoise comes in various shades of blue, green and blue green including sky blue and apple green. 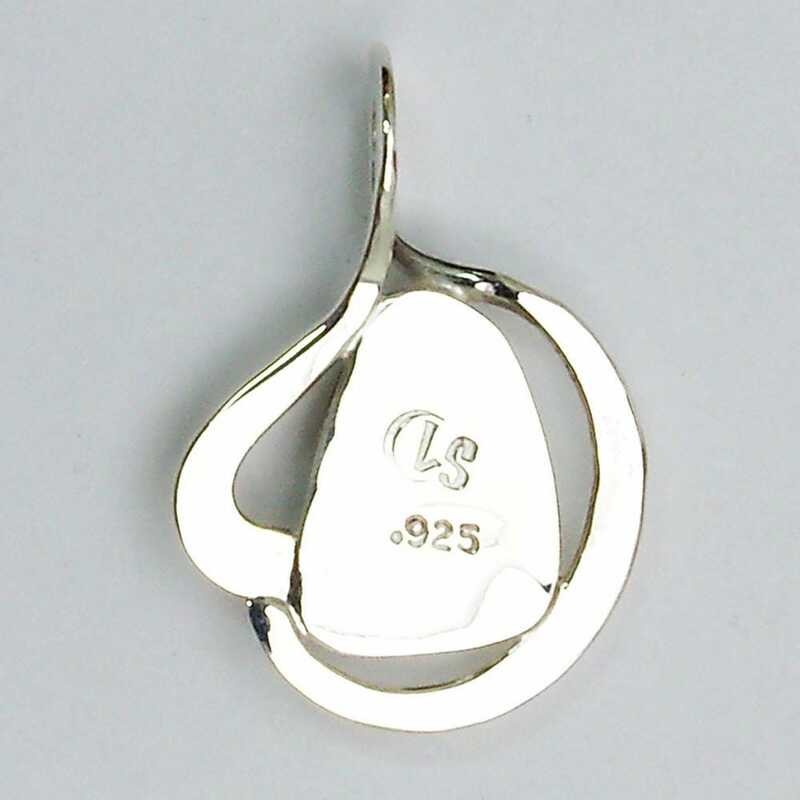 Color depends on the ration of copper to iron. Copper contributes to blue color while iron turns the blue to green. 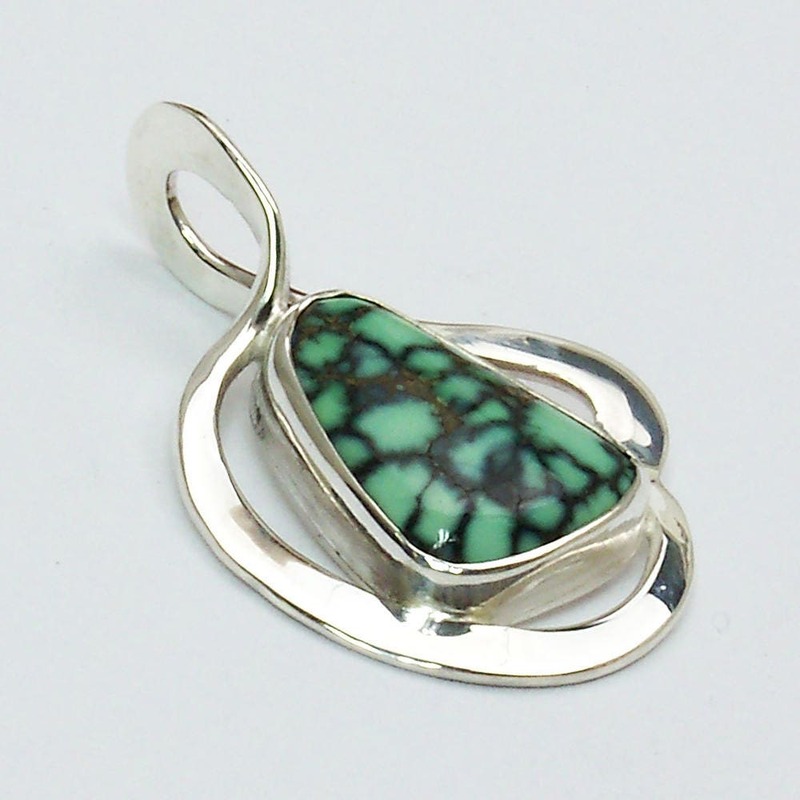 Turquoise is often found where copper deposits exist. 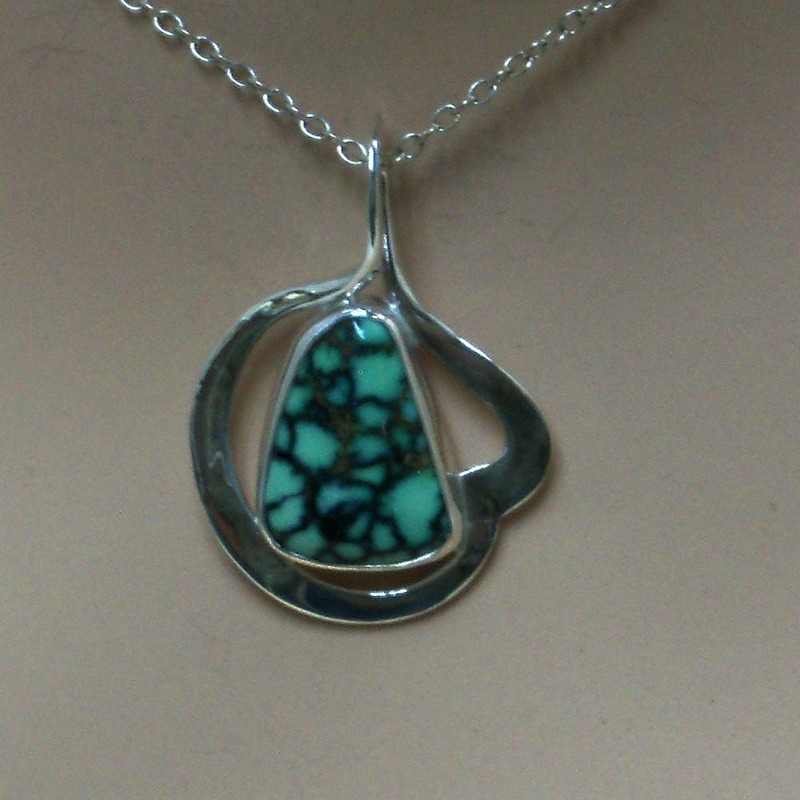 The turquoise used in this piece comes from the Damele mine outside of Austin, Nevada.